The Autumn season is here and along with the beautiful foliage the chilly evenings are a reminder of the Passive House standards. We know Passive House makes a difference in the lives of those who enjoy its benefits in homes and workplaces across the Northwest. At Passive House Northwest it is part of our mission to share and to educate about those standards. Our annual conferences are the principal vehicle we use to provide that education, and we want to see you there this year. Please take a moment to register to attend or to participate as a vendor at our annual fall conference in Boise. It takes a village to expand a movement and impact our build community in a positive way. The Autumn season is a time for family and gathering together in warm spaces on chilly evenings. The next time you are enjoying this wonderful time of year, remember your Passive House Northwest family and reach out to us. We look forward to gathering with you at the 2017 Fall PHnw Boise conference. We’re excited to bring you another all-star slate of experts sharing their perspective on low-energy buildings from every angle, including policy, incentives, and case studies. We’ll start the day with keynote speaker Chris Higgins, Green Building Planner with the City of Vancouver, who will share his insights on policy, building codes, and incentives in support Vancouver’s goals of reducing greenhouse gas emissions, and being 100% renewable. Following Chris, we’ll have a full day of regional experts and their timely infusion of expertise, inspiration, and energy. Interested in sponsoring or exhibiting? Email [email protected] for more details! 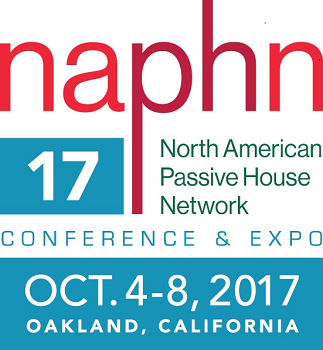 #NAPHN17: Passive Renewables is just around the corner—October 4th through 8th in Oakland, CA—and our program is packed with all things Passive House – workshops, core conference sessions, fun evening events and passive house building tours. Mix and match events that meet your interests and schedule. Workshops are great for honing skills, and tours are always one of the best ways to see how Passive House buildings operate, while you also network and engage with fellow conference attendees. Plus we’ve planned for you to use your tour as your airport shuttle, hop aboard! 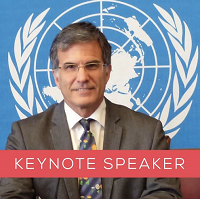 We’ll see you at the Keynote Address on the morning of October 6th, presented by Scott Foster, Director of the Sustainable Energy Division for the United Nations Economic Commission for Europe. 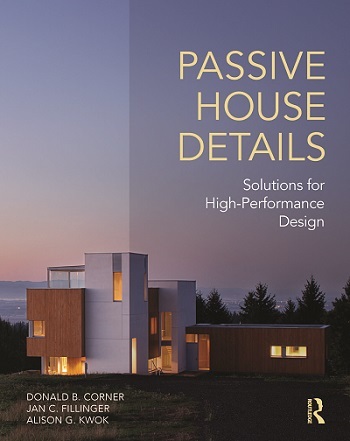 Passive House Details, introduces basic concepts and principles for the design of ultralow-energy buildings, explained and illustrated with a catalogue of successful construction details, mat erials and systems drawn from recent North American projects. The objective of the book is to demonstrate the rich array of construction options that are available to meet the rigorous performance demands of the passive house standard. Details are compared side by side for the construction of foundations, floors, walls, roofs, windows and doors. Fourteen in-depth case studies show how the details work together to make energy-efficient, carbon-neutral, healthy, and satisfying buildings in distinctly different contexts throughout the region. Click HERE to read more and to get a discount! 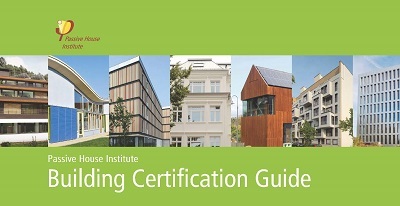 The Passive House Institute recently published a 70-page illustrated Guide to building certification which will help anyone attempting building certification understand how to create a complete and accurate submission. Particularly useful are illustrations of how to convey essential information on plans, sections, and specifications. In addition, there is a helpful glossary which defines key terms and concepts. And the last page contains links to seven sample files which illustrate required documentation. 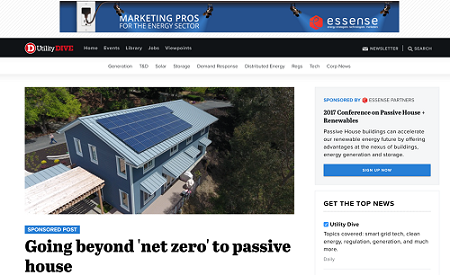 Going beyond ‘Net Zero” to Passive House by Bronwyn Barry, President of NAPHN, and Mei Shibata at Essense Partners was published by Utility Dive, a trade publication for electric utilities, but it is instructive for those of us who look at the grid from the other side of the meter, from the homeowner’s point of view.